As part of the Wellbeing initiative announced at Google I/O 2018, YouTube on Android now lets users set a reminder to take a break from watching YouTube videos. Google had announced a Wellbeing initiative at Google I/O 2018 with the aim of helping users understand and curb their addiction to devices. 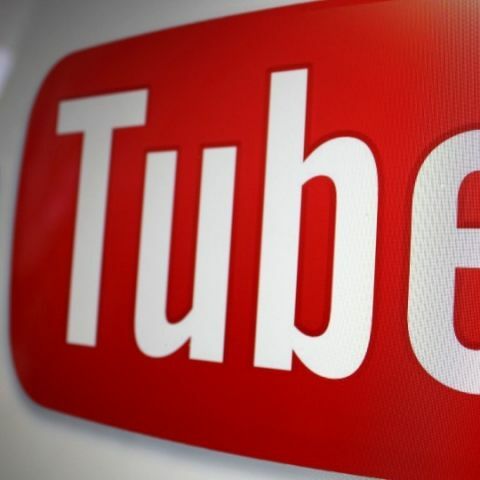 As part of the initiative, Google has started rolling out a ‘Take a Break’ feature for YouTube’s Android app, that allows users to set a reminder to take a break. These reminders can appear at intervals of 15, 30, 60, 90 or 180 minutes. Once the user selects an option, YouTube will then pause the video at those particular intervals. Users will then have the option to close the app or dismiss the reminder to continue watching. It should be noted that the setting is optional, and is turned off by default. Besides this, YouTube for Android also gets two new features in the notifications menu. 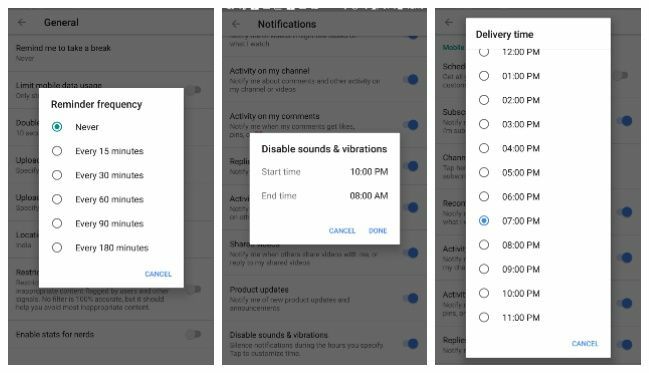 The first is called ‘Disable sounds and vibrations’ and as the name would suggest, it disables all notifications from the app for a particular amount of time. The second feature is called scheduled digest, and lets users get all notifications once a day, at a particular time. To access the ‘Take a Break’ options, users will have to head into the app’s setting, and then tap General. For the new notification options, users will have to access the Notifications option under Settings. Google has a lot more planned around the Wellbeing initiative. This includes a new ‘Do not disturb’ mode in Android P, that will not only silence all call and texts, but also visual disturbances that pop up on screen. Turning the phone upside down would automatically enable this mode. Further, Android P would also bring a new Wind Down mode, that will allow users to tell the Google Assistant their bedtime, The Assistant would then automatically activate the mode and the screen will turn grey when it is activated. Which application is best for watching the videos in Android? Which application is best for watching the videos in Blackberry? Which Player is best for watching the videos in Windows.